Prices! It’s that time of year I don’t enjoy (2013). Price changes, spreadsheets in front of me. Working through all the necessary changes. An arduous task and one that takes me at least a week or two to complete. 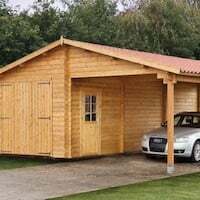 This weekend I have been solidly working on the log cabins and all the various and extensive options. I’ve been trawling across countless competitors and I think I’ve got it right. The only place to be perfectly right was to head the prices down, and that’s what I’ve done. The recession strikes again, yes I’ve got our margins to think about but it’s tough times and time to be ultra competitive! So, what’s happened? 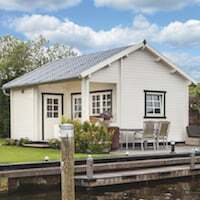 Well, huge price cuts across all the log cabins that’s what! 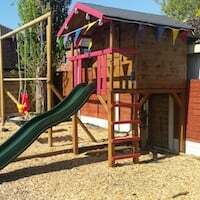 Daniel log cabin – ever popular! 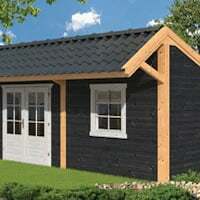 The Daniel log cabin, an ever popular building is now down to £1228.25, over £200 off! This is one of my personal favourites, where my daughter goes to ride they have one. It’s a lovely building, this picture doesn’t do it justice. Now priced with over £500 off from what it was yesterday. I may have made some mistakes and I’ll have to go through it all just to make sure, if i have it will become apparent when someone buys one, of course then it’ll be too late and I’ll have to honour it. 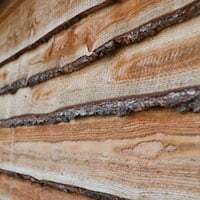 If you’re in the market for a log cabin, have a good look through the ranges, maybe even take advantage if you spot a mistake. 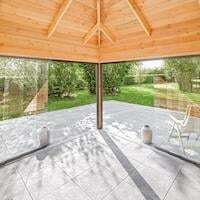 As always, if there isn’t a building you really like why not ask us to make one for you. Now to start on the remaining 1000 products in the catalogue: I know how to have fun! A change around for this weeks special offers. We hope those who wanted them made full advantage of our offers for last week. This weeks offers are a slight change of theme. First up is this lovely Gazebo. 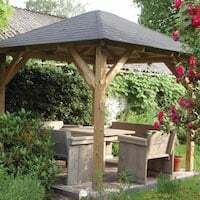 This is known as the Tourist Gazebo and is extremely popular with our retailers. 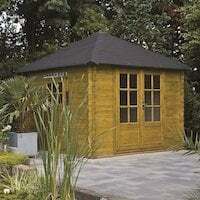 It measures a very convenient 3.40 x 3.40m square and comes complete with felt shingles. Optional ground anchors are available as is a metal finial. Next in this weeks sale is one of the products we mentioned in our twitter posts which received a lot of attention. 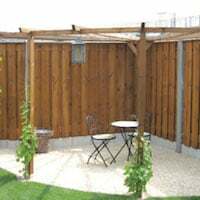 This is the Hardwood Deluxe Tree Seat it measures 2.20m in diameter and can accommodate a tree trunk up to a 1.10m diameter. It comes complete with cushions and is made from Teak, a stunning tree seat and currently with 20% off the normal price. Hardwood Teak tree seat with 20% off the normal retail price for this week. 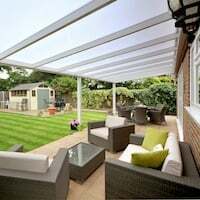 The final offer for the week is one of our lovely garden arches. This model is made from tanalised timber for years of rot free use. 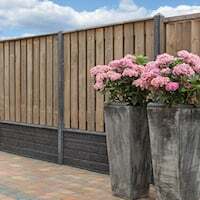 It measures 2.90 x 0.60 x 2.50cm and features two planters and a garden bench in between them. A lovely feature for any garden. 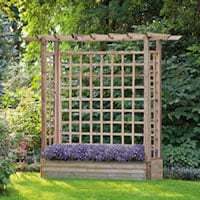 Trellis arbour with a garden bench flanked by two planters. Great value with 20% off. Like always, these offers finish on Friday (8th February) at 9am. Don’t miss out! Well, we’ve finally done it. With the updates to the website, all spangly and with pretty things on it. Technology abound, blog, and all sorts of clever things we took the plunge and created a page on Facebook. You can see it here, we have to ask ourselves: “is it done right?” It looks right but having little experience in this we do hope so. Next came the shop, we’d seen a gizmo and it’s not bad, a bit of a headache to carry out but it’s there, all our products sitting on Facebook … Yay! Of course, now, we have to get people to visit it, do people really visit such pages? We’ve been working hard of late on a completely new build of our website. Products are still being added and updated and this will continue for some while. We’ve enabled e-commerce on the site which previously was not available due to customers not finding our full ranges in one place. Our retailers are spread evenly across the UK and can help you offering expert advice and service. Try our new “Retailer Locator” at the top of the page. 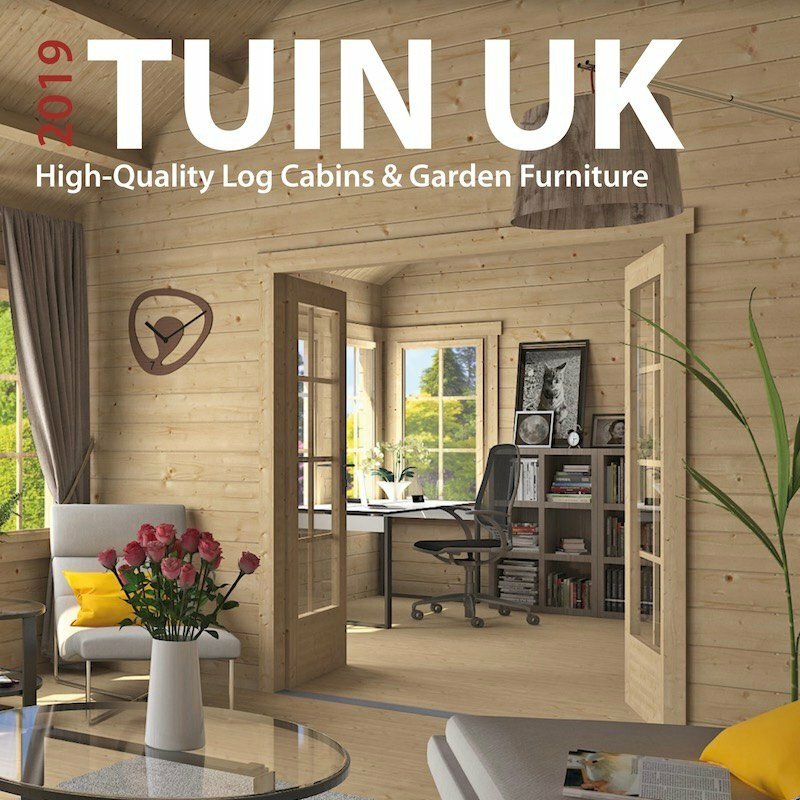 Brochure which can be viewed online. Lots more features and products coming soon as well as regular blog posts regarding our products and services.